The highly esteemed and very talented actress, Susan Sarandon, who by our choice words is the best female acting talent in Hollywood, (we’re overlooking Meryl Streep for obvious reason); has come out and told the Guardian what most would not dare say, which is that Hillary would have led the United States of America to war if she was elected President. Nobody in their right mind should’ve voted for her in the first place, but we’ll spare you the long list of reasons why. More than a year ago, Susan Sarandon refused to endorse Hillary Clinton ahead of the 2016 Presidential election, and encouraged people to vote for Green Party nominee Jill Stein instead. This enraged the left wingers, as well as the Hollywood elites, because it meant less votes for the rigged DNC nominee candidate Hilary Clinton. This was something which we applauded Susan Sarandon for at the time, and even now. Today, we’ve learnt that Susan Sarandon had to change her phone number after she received threatening messages from Clinton supporters. Does it surprise us? No, since deluded Hillary Clinton voters are still “butthurt” a full year later, and they encompass all that it means to be an intolerant leftist. Susan Sarandon recently stated that Hillary didn’t win because “we would be at war” if she did and adding that she would be “very, very dangerous” as President. With such true comments, we should all applaud Susan Sarandon again. She’s way better than Meryl Streep, with a bevy of memorable roles and great films under her belt, plus she retains something much more genuine than Meryl, because she is who she says she is in person. She’s not playing a role unless she’s in a film, which is more than the “all seeing eye” of the public can say about Meryl Streep’s persona. 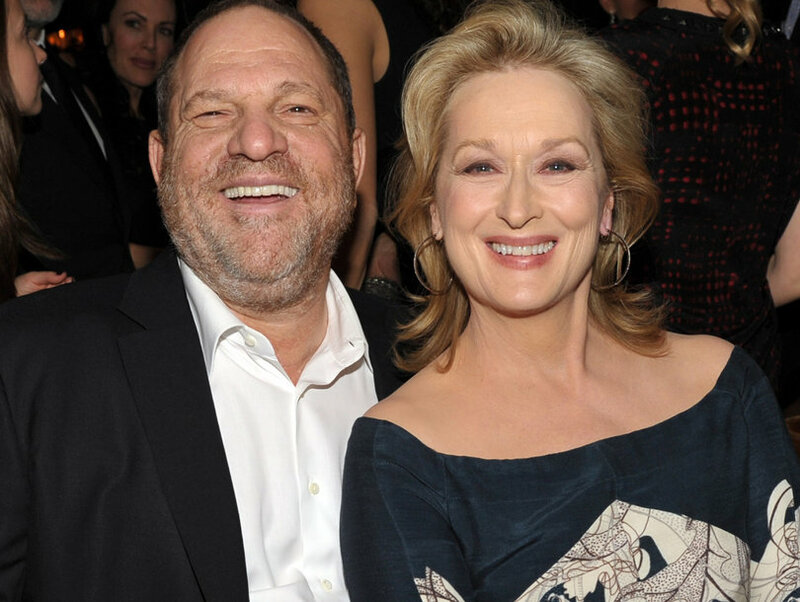 Miss Streep blindly supported Hillary Clinton, and even went as far as calling Harvey Weinstein a “god” and “the punisher”, meaning she was presumably well aware of Harvey taking advantage of Hollywood actresses with his repugnant casting couch methods, which have now been named and shamed, resulting in over 100 women crying foul of his predatory ways so far. Susan Sarandon stated that “all of Hollywood” knew about Harvey Weinstein’s antics, but many other Hollywood celebrities enabled it. Susan Sarandon added in regards to Weinstein that, “not every woman seduced by men ‘smoother at seducing than James Toback and Harvey Weinstein’ felt like a victim”. Susan said that many actresses said “No” to Harvey’s creepy advances, and when any woman tried to report on it, people merely shrugged their shoulders and continued their lives as normal. In regards to Harvey’s sexual power games, she commented, “Those are the people who are perpetuating it, too” for enabling it to happen, over and over again, in the first place. Once again, Susan levelled the playing field on the Harvey Weinstein allegations, something which Meryl Streep has pretty much maintained a radio silence on, or only spoken out about it with generic PR commentary used to preserve her image in the eyes of her peers amidst the Weinstein revelations. However, such a generic PR stunt hasn’t fooled the public. Whilst Meryl knew all about Weinstein (aka the Punisher), and the things he got up to, it probably isn’t okay to call him a “God” or a “Punisher” in any respect of the word. Even Marvel’s Punisher would be repulsed to have to share the nickname with the likes of him. Meryl Streep’s credibility has taken a major hit with the moviegoing public, not to mention Hollywood as a whole. Don’t worry, you’ll always have Susan Sarandon to hold in higher esteem than Meryl Streep from now on. That’s good enough for us, and with Susan Sarandon speaking out against Hillary Clinton, there’s hope of a shift in the tides in public political opinion, with other Hollywood celebrities finally being able to speak out and say that they support Donald J. Trump. That’s the hope anyway… All Donald Trump supporters seemingly have to hide their alliance and that’s especially so in Hollywood… Hmmm, wonder why that could be? Will Hollywood ever be able to grow up, grow a pair over Hillary’s election loss, or just stop pushing the establishment’s silly media smear campaign agenda against the current President? Indeed, being “woke” is a quality to hold in high regard, so be like Susan and stay woke. 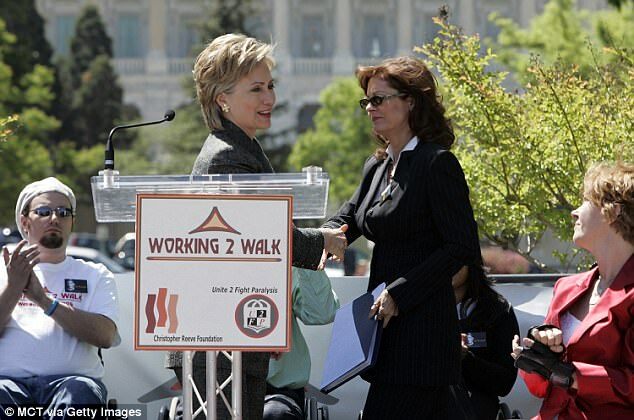 Susan Sarandon has been opposed to Hillary Clinton since after the Iraq war, after initially supporting Hilary for the New York senate in 2001. After Hillary voted for the war in Iraq, that all changed. Did Susan Sarandon begin to see through Hillary Clinton’s globalist establishment agenda and her colluded ties to the beast under Barack Obama? Did she see through all that long before that stuff? Susan Sarandon responded in a classy and hilarious fashion on Twitter over Debra’s delusion. “Alright @DebraMessing report me to the homeroom teacher and let’s STOP”, she said after they had a retweet war on Twitter over the issue of Hillary Clinton. Susan Sarandon shut down Debra Messing once again, and if you look at their casting credits, well… There you have it! The highly acclaimed actress also added in summary to the Guardian that she’d received threatening comments from Hillary supporters, berating her in a CNN like smear campaign, and that during the 60s and 70s in Hollywood, casting couch culture was avoidable, but in the modern day film industry, it has been enabled. Just how many women may have put themselves in this position and then later regret it? A fair few we imagine. There you have it! We’re just as happy as Susan Sarandon is that Hilary Clinton isn’t the President, and that Donald J. Trump is, even though he’s facing the establishment resistance at almost every turn. We feel it’s time for Hollywood actors to come out and say that they support Donald J. Trump, and be allowed to praise him for all the good work that he’s actually doing so far. One notable piece of good work that Donald Trump is also doing, which has a total media blackout, is his work in combating human trafficking and the arresting of thousands of pedophiles whom prey on children. You won’t get that on the mainstream news, or even hear that through many Hollywood circles, either. Previous Article← Happy Thanksgiving/Black Friday Weekend Everyone!